Borussia Dortmund vs Atletico Madrid predictions for this Wednesday’s UEFA Champions League group stage clash as the top two in Group A meet. Read on for our free betting tips and predictions. This is one of the heavyweight clashes in the Champions League this week between two sides that have both made Finals in this competition over the past decade. They both already look very well placed to make the knockout stage this season and the two meetings between the clubs over the next fortnight will most likely determine who wins the group. Both sides have maximum points so far. 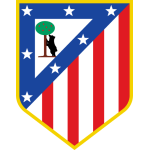 Atleti are dreaming of reaching another Final, this time in their own stadium and they haven’t had many major alarms yet, unlike the group stage last season when they could only manage a disappointing 3rd place in what wasn’t an absolutely impossible group. The same could be said of this one, with Monaco not providing much competition right now and Atleti have already won in the principality, their only Champions League away win in their last 6 outings. As for Dortmund, they will be pretty happy with how their season is shaping up both at home and in Europe. With Bayern looking surprisingly vulnerable, they will believe they stand a chance of winning the Bundesliga this term and they are currently 3 points clear at the top of the German top flight. Indeed Dortmund are yet to lose this season, beating Monaco and Brugge to nil in this competition. With both sides on six points already, a draw probably wouldn’t be a disaster for either side here and it could be relatively cagey, with Atleti likely to come with a typically defensive approach. That does largely suit them and you sense Diego Simeone almost lives for nights like this. Even though they failed to make it through last year, Atleti’s overall Champions League group stage record is still very good. They’ve lost just 3 of their last 25 matches at this stage, keeping an extraordinary 16 clean sheets in those games. 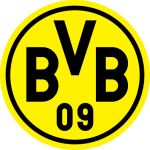 Dortmund have been playing some excellent attacking football this term and scoring for fun in the Bundesliga but in Atletico Madrid they might just find their match and will have to work hard to create many openings. The Germans have been slightly more conservative in Europe too and are one of just four sides yet to concede in the competition. However, they have only had 8 shots on target themselves, a surprisingly low number given they’ve scored 4 goals. Overall, a relatively low-scoring game looks more likely here and backing Under 2.5 Goals could be the way to go, a bet that has landed in 8 of Atleti’s last 11 matches in all competitions and in 8 of their last 11 away in the Champions League. Antoine Griezmann is the man most likely to break the deadlock though. The Frenchman tends to deliver in Europe and with 8 goals in his last 11 continental games, backing Griezmann to score anytime could be worth a punt here. Borussia Dortmund are looking to win three consecutive Champions League games for the first time since October/November 2016, with the third game in that run an 8-4 win over Legia Warsaw. Atletico Madrid have lost just three of their last 25 Champions League group stage games (W16 D6), keeping 16 clean sheets in those games. Borussia Dortmund’s Marco Reus has had a hand in 14 goals in his last 10 home Champions League appearances (nine goals, five assists). Since his Champions League debut for Atletico Madrid in September 2014, Antoine Griezmann has had a hand in 25 goals (19 goals, 6 assists), 15 more than any other Atletico player. Borussia Dortmund’s Jacob Bruun Larsen scored and assisted against Monaco on his Champions League debut – aged 20 years and 14 days, Larsen was the youngest player to score and assist on his debut in the competition since Wayne Rooney (18y 340d) in September 2004. Diego Costa has been involved in 11 goals in 11 Champions League games for Atletico Madrid (nine goals, two assists) – for Chelsea, Costa scored just twice and assisted twice in 15 appearances in the competition. Borussia Dortmund are one of four sides yet to concede in the Champions League this season, along with Juventus, Napoli and Manchester United; they have faced as many shots on target as they’ve had shots on target themselves (8). Two of the four players to have completed the most passes in this season’s Champions League are Atletico Madrid’s Koke (182) and Borussia Dortmund’s Manuel Akanji (169).